Every week, the Masked Man, Deadspin's pro wrestling correspondent, honors the sport's fallen and examines their legacies — famous and obscure alike. 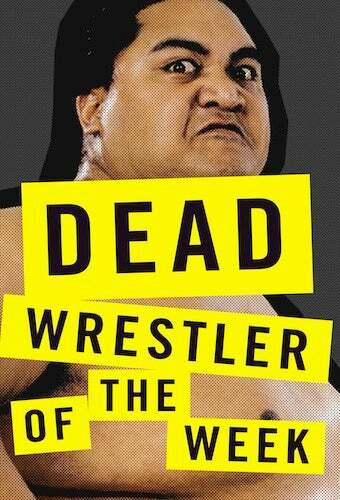 Today: Yokozuna, who died of a heart attack in 2000. Pro wrestling has long been a land of giants, a playground for literally outsized men to act out metaphorically outsized tropes and storylines for the teleological gratification of the masses. Nevertheless, when a 500-pound man makes his way down the aisle, people stop to pay notice. Or, hey, maybe they're a little bit distracted at just that moment, as were announcers Vince McMahon and Curt Hennig when Yokozuna first set (bare) foot in the WWF ring — but once they noticed, they were suitably awed. Oozed McMahon: "Take a look at this! Take a look at the girth! Take a look at 505 pounds of Yokozuna! This man is huge!"" Led by longtime scoundrel manager Mr. Fuji, Yokozuna — né Rodney Anoa'i — was a behemoth even by the bloated standards of the WWF, for which a new plus-sized hire wasn't exactly a rare occurrence. But gargantuan wrestlers — be they tall, fat, over-muscled, or some combination of the three — never seem to lose their luster in the eyes of the wrestling audience. Or, more precisely, in the eyes of the McMahon and the other heirs of Barnum who run the shows and sign the paychecks. From the earliest days of the sport, in every fairground or VA hall where a ring was erected and a crowd assembled, there were semi-athletic butterballs on hand to shock and awe the audience with their mind-boggling bulk, put on display like their carnival sideshow forebears. These men, though — from Haystacks Calhoun and Gorilla Monsoon to The One Man Gang and King Kong Bundy — didn't just suit up for the gawking. They whooped and jeered and, once the battle commenced, they punched and chopped and (usually at the end) fell down heavily upon their opponents, the spectacle of their king-sizedness now palpably painful and almost interactive. Still freaks in a sense, they'd nevertheless upped the ante considerably. They were now participants. And in 1992, from this esteemed tradition came Yokozuna, the wrestling sumo (the name refers to the highest rank in sumo). A few things to clarify about Rodney Anoa'i up front: He was not Japanese, as was implied by the flag that preceded him into the ring (he was Samoan and was announced as being from the South Pacific Islands or Polynesia, though you could hardly hear it over the traditional Japanese music that attended his arrival); he was probably not the full 500 pounds at which he was introduced (he was rumored to have worn padded tights to increase his bulk), though he vastly exceeded that mark by the end of his career; and he was not Akebono, the famed Hawaiian sumo wrestler, as was (and is) often mistakenly assumed (Akebono did himself eventually make a WWF appearance, squaring off against the Big Show at WrestleMania 21). Yokozuna may have been none of these things, but he was monster enough to make up for it. In some ways, his own backstory was even more interesting than his fake one. Anoa'i was the nephew of Afa and Skia, the famed Wild Samoans, the Polynesian antecedents of a massive clan of grapplers, including Rikishi, Samu, Rosey, Umaga, and, by association, Duane "The Rock" Johnson. (Afa and Sika considered "High Chief" Peter Maivia, the Rock's grandfather, their uncle.) After training with his uncles, Anoa'i wrestled in Mexico and Japan to hone his craft, and did a stint in the AWA under the name "Great Kokina." Wearing the "traditional" wrestling garb of Pacific Islanders — the three-quarter-length tights and no shoes, with a Polamalu-esque shock of curly, black hair — "Kokina" was playing to his heritage, but, as the modifier made clear, the emphasis was already on his immensity. He soon competed in the Royal Rumble and won — what with it being difficult to throw him over the top rope and all — thus earning himself a title shot at WrestleMania IX. (In the meantime, he would busy himself by squashing Hacksaw Jim Duggan, second-tier symbol of American jingoism.) At WrestleMania, Yokozuna competed against Bret "The Hitman" Hart in probably the best technical match of Yoko's career. When Hart somehow locked Yoko's tree-trunk legs in the Sharpshooter, his signature move, the challenger's fate seemed all but sealed. But no: The nefarious Fuji threw salt into Hart's eyes, blinding him and leaving him open to a Banzai Drop and defeat at Yokozuna's hands. Yokozuna was the champion, but his reign wouldn't last long enough for him to savor it. Backstage politics were the real victor of the day: Hulk Hogan had returned to the WWF from a layoff, and with him on the scene Hart was viewed as a stopgap champion; Yoko, for that night anyway, was simply a transitional champion, a means of taking the strap away from one good guy and giving it to another. When Hogan stormed to the ring to protest the match's decision and to attend to his "friend" Bret (because in that era of wrestling, all good guys were de facto friends), Mr. Fuji presumptively challenged Hogan to a match, right then and there. Hogan accepted, temporarily abandoning Bret's cause and ongoing blindness, and defeated Yoko in a matter of minutes. Hulkamania was seemingly restored, and Yokozuna was the first monstrous opponent on his dance card. The two titans feuded on until the King of the Ring event. There, Hogan and Yoko battled, and in parallel to WrestleMania, the hero seemed poised to win. And again, it wasn't to be: A Japanese "photographer" situated outside the ring leaned in for a shot, and the camera exploded in Hogan's face. The Hulkster was disoriented, and once again Yokozuna pulled out a victory — and regained the championship — thanks to Mr. Fuji's conniving. As a villain, Yoko was a pure product of America's bizarre cultural moment in the 1980s and early '90s, when our uncertain geopolitics left Hollywood to ponder the potential ascendance of the Asian workforce with its usual deftness. I refer, of course, to the many movies like Gung-Ho and Rising Sun, which were premised on the notion of the Japanese as menacing exotics with queerly dainty methods, here to destroy America from within. Sometimes geopolitics breaks kayfabe, as with the Sgt. Slaughter-as-Iraqi-sympathizer storyline of 1990. Yokozuna was a part of this tradition as well, if a few years behind the curve, and for Lex Luger, all it took was a new pair of stars-and-stripes briefs to formalize his rise to Hogan's place in wrestling's pantheon of true patriots. At WrestleMania X, Yokozuna fought both Luger and Hart, separately. He first defeated Luger (again with assistance, this time courtesy special guest referee Curt Hennig), but lost cleanly to Bret (who, in the interest of competitive fairness, had fought his brother Owen earlier in the night). Bret (and the belt) quickly moved on. Perhaps it was a long-overdue moment of awareness on the part of McMahon and his writers; that Yokozuna, a supremely unpopular foreigner, was allowed to reign atop the WWF for as long as he did might have spoken to the thinned WWF roster during a period of talent migration to WCW, but more likely it was just an incredibly wrongheaded lapse on McMahon's part. Regardless, once Hart had reclaimed the title, the WWF spent little time in removing Yokozuna from contention. Yoko, for the first time in his WWF tenure, was a monster adrift. No longer the undefeatable champion, he was now almost strictly a spectacle, relegated to the second tier. The only highlight of the ensuing months was a rekindled feud with the Undertaker, wherein 'Taker finally avenged his earlier casket match loss. The rematch was just as chaotic as the first, only this time, for whatever reason, Chuck Norris was the match's "special enforcer." Yokozuna retuned to the spotlight later as half of an odd-couple tag team with Owen Hart. By now, Yoko was heavier than ever — purportedly over 700 pounds — and much like Andre the Giant at the end of his career, his primary role was to stand on the ring apron looking ominous (and enormous) while Owen did most of the in-ring work. The duo dominated the tag ranks for months, but when they finally lost the belts, Yokozuna's WWF tenure was all but over. He turned on his old fiendish friends and had a run as a good guy and hung around for a couple more years, but his glory days were far behind him. In a SummerSlam match against the emerging "Stone Cold" Steve Austin, Yoko's weight had clearly ballooned, and the ending was built around this newly acquired girth. When he climbed up to the second rope for his Banzai Drop, the turnbuckle "broke," sending Yoko crashing down onto his back and allowing Austin to steal the victory. Up until now, his immensity had been his calling card. Now it was a liability. Betrayed by his chief advantage, he had nowhere to go. Yokozuna was originally hired as a sideshow attraction — albeit one with considerable athletic ability. And even though the WWF didn't (and doesn't) grant its wrestlers health insurance, or more likely because of that, the idea of a wrestler suffering a heart attack in the ring was unappealing to say the least. WWF management insisted that Yoko lose weight, and when the pounds didn't immediately fall off, they released him. The door was theoretically open for him to return, but the weight was too much a part of him now, and his health continued to decline. So what becomes of the monster who becomes too monstrous, the genetic freak who becomes solely a freak show? Despite some appearances, pro wrestling isn't a World's Strongest Man competition, and it's certainly not a World's Fattest Man contest. And the freak in the age of television — in which the whole world is a sideshow tent — is not one with a long shelf life. That Yokozuna lasted as long as he did in this era is an accomplishment in itself. That he held the belt for as long as he did — from Haystacks to Andre, monsters of Yoko's ilk were largely seen as division killers and were rarely gifted with championship runs — is unique. He was a grotesque, a caricature, and his career straddled an old-school wrestling world in which racial/ethnic stereotyping was the norm and a new era in which a new style of un-PC excess reigned. That his character lasted at all into that modern period is a testament to Yoko's legacy as well. He shattered the sideshow-attraction glass ceiling. Yokozuna wrestled occasionally at independent shows, including the 1999 Heroes of Wrestling event, where, massively overweight even compared to his later WWF days, he teamed with a supposedly drunk Jake "the Snake" Roberts. On a European wrestling tour in 2000, he suffered a fatal heart attack in his hotel room. It's safe to say that few were entirely surprised. What was surprising was that he was still trying to wrestle, or at least still making appearances at wrestling shows. But he was a living spectacle, and the walk to the ring was his display case. It was by then the only world he knew. In his last match, Yokozuna didn't even enter the ring: He stood on the apron, a literal sideshow now, looking ominous and enormous, and then he died. He was 34 years old, or 38 depending on what sources you believe, and either way, he was far too young. Sayonara, Yokozuna. You were much, much more of a man than we will ever be. The Masked Man works in publishing. E-mail him at themaskedman01@gmail.com.